The box has been found, and the auction is back... now the only "complete" copy with the only known box to exist is for sale... well... hello 5 figures. The link says 31,600... but I wonder if that's the actual sell price or if someone placed a joke bid. Reccos - I am trying to verify the price was a legitimate bid. I will be sure to post about it when I verify. I wouldn't be surprised if the $31,600 price is legitimate. 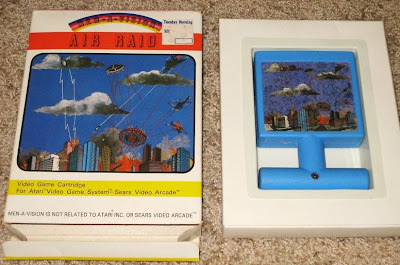 This is THE item for Atari 2600 collectors.